Hello everyone! 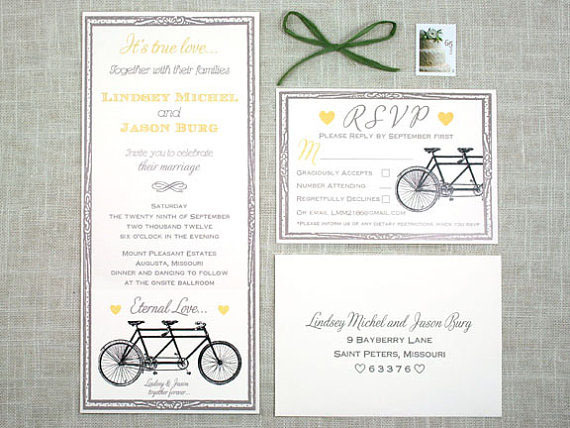 I am excited to say I have been slowly rolling out new letterpress wedding invitation designs in my Etsy shop, and I will be updating my official website by the end of the year with all new designs. I realize some of you are planning weddings for early next year. 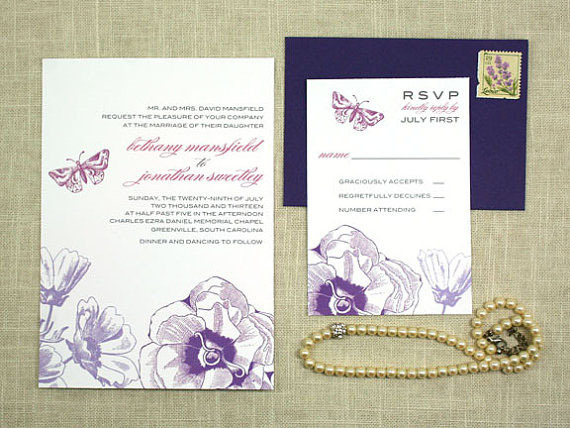 If this is you, and you are looking at invitation designs in the world wide web….please check out my new designs…..and don’t hesitate to contact me with any special ideas or requests you have for your invitations. Chances are I can do it! 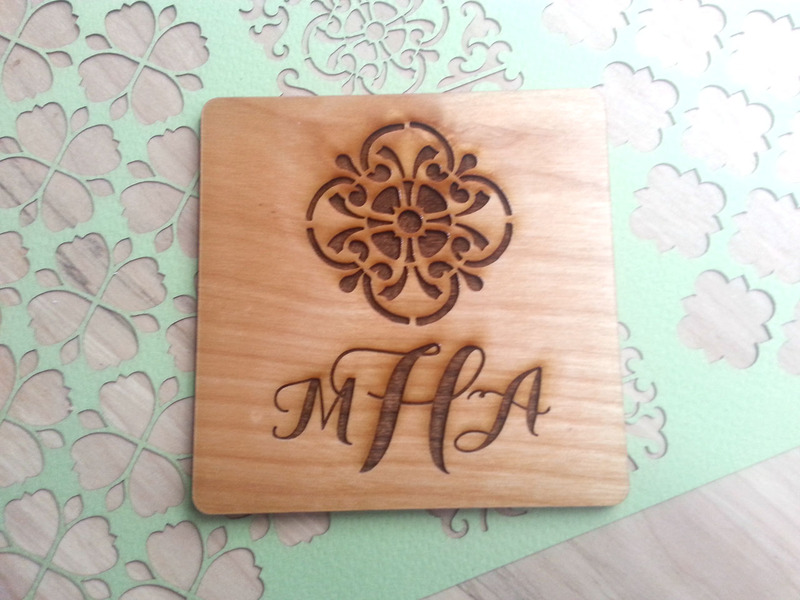 We have a new laser cutting machine, and there are so many beautiful products we can now make that I cannot even begin to tell you how excited I am! So for today, here is a look at one of my new designs. 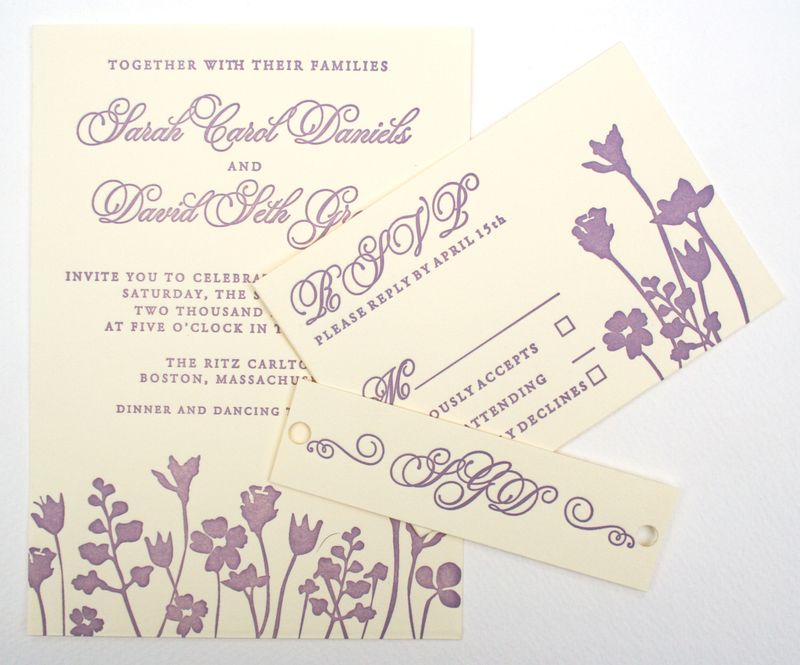 This botanical garden letterpress printed wedding invitation is seen here printed in purple and olive green, but it can be printed in any color to match your wedding. 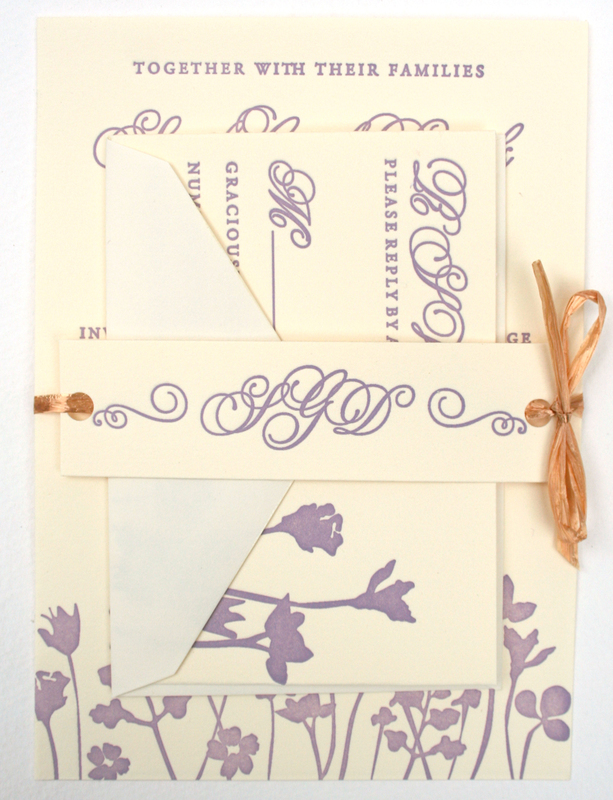 Please visit the Sofia Invitations Etsy shop for more information. 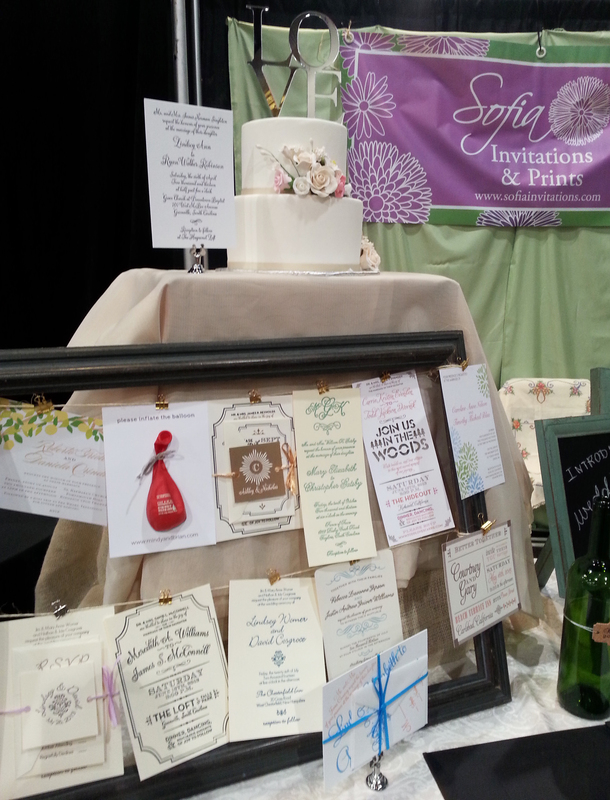 Yesterday I showcased our invitations at the Wedding Festival in Greenville, South Carolina. There was a great crowd and I had a fantastic time chatting with brides and grooms! So many couples are getting married in March and April! I was married two years ago on March 5th…I think it is a great time of the year to get married. I am designing many wedding programs right now for those couples getting married soon. 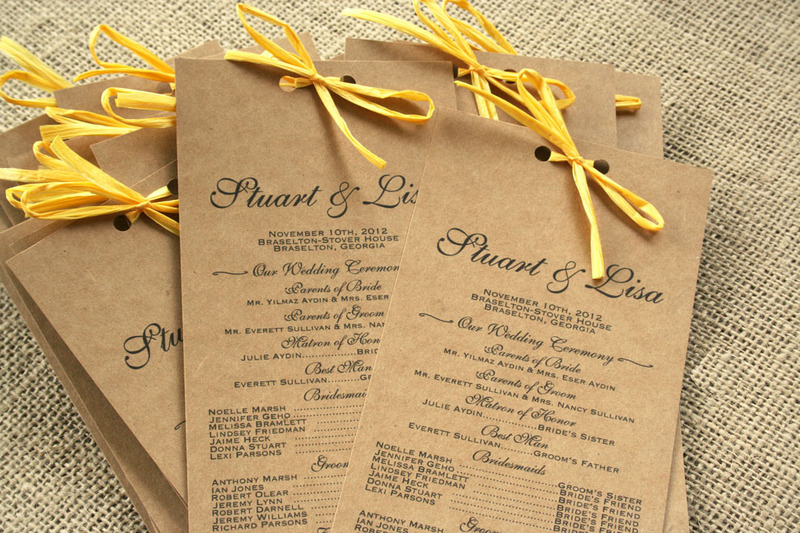 You can buy your rustic wedding program in the Sofia Invitations Etsy Shop. They can also be printed on white or cream card stock, and with or without a bow on top. 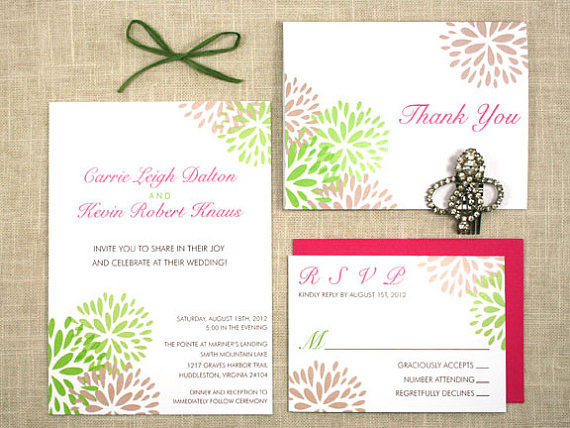 Today I want to share with you some of my favorite digitally printed invitations. Each of these are customizable with your wedding colors and words, and each can be purchased in the Sofia Invitations and Prints Etsy Shop. Pricing starts at $135 for 50 invitations. 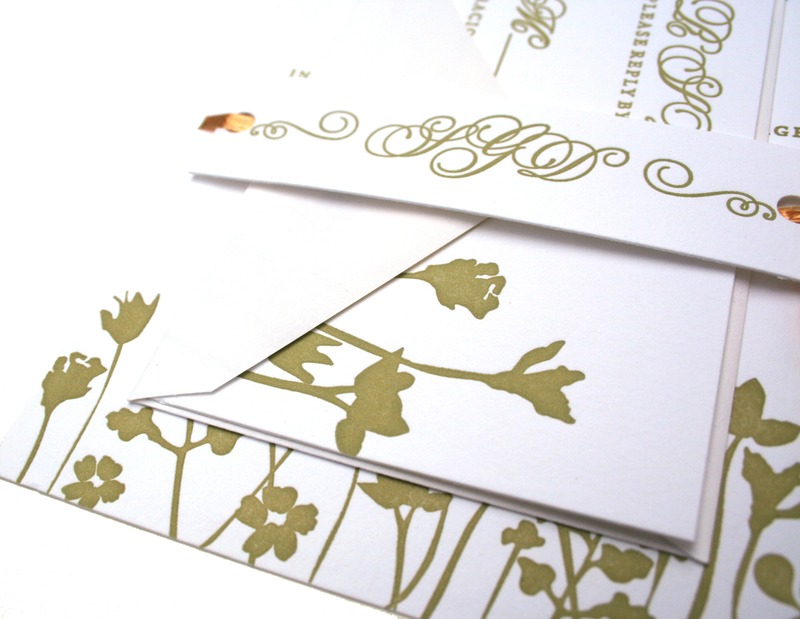 Contact me at sofia@sofiainvitations.com for any questions! I have a Pinterest account (doesn’t everyone now?). It can be kind of addicting to look at other people’s pins, repin items, etc. But I also find it really handy for inspiration in creating my designs. 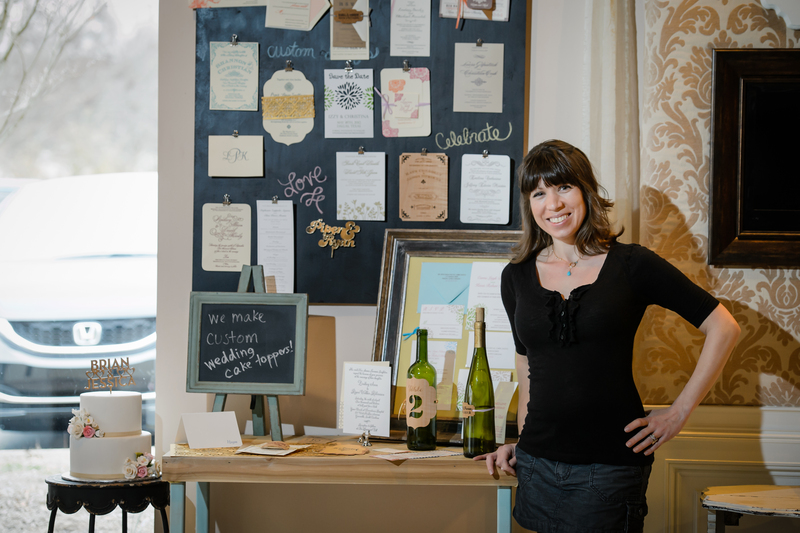 I can discover new fonts, be inspired by different color combinations, see what’s trending… Right now I am designing a visual display for my space at the Wedding 101 store in Greenville, South Carolina (opening at the end of January). I have been using Pinterest to find fun inspiration for my display. Please find me on Pinterest here and check out what I like! Here is a little screen shot of my boards.